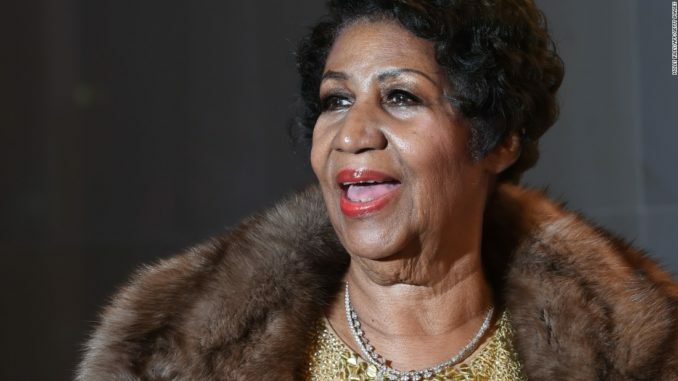 “I must tell you, I’m retiring this year,” the 74-year-old living legend, Aretha Franklin, told the Detroit TV station WDIV Local 4, saying she wanted to spend more time with her grandchildren before they left to go to college. First on the agenda though, she will record an album part-produced by Stevie Wonder to be released in September 2017. The youngest of four children of a well-known preacher, CL Franklin, Aretha was born in Memphis in 1942 but grew up in Detroit. There she was exposed to soul and jazz royalty: Oscar Peterson, Duke Ellington and Ella Fitzgerald visited the family; Dinah Washington gave Aretha and her sisters singing lessons. Her father was a close friend of Martin Luther King. In more than five decades as a soul and R&B superstar, Franklin has won 18 Grammy awards, sold more than 75m records, sung at three presidential inaugurations (for Obama, Bill Clinton and Jimmy Carter), and influenced generations of musicians across soul, R&B, gospel, pop and rock. No wonder she was dubbed, The Queen of Soul. In 2010, Rolling Stone named her the greatest singer of all time (“a force from heaven… a gift from God”); Bob Dylan wrote a poem praising her; Otis Redding, hearing her 1967 version of Respect (which he had written), conceded ruefully: “She done took my song.” She remains the female soloist with the most Hot 100 entries in history, above Madonna, Dionne Warwick, Beyoncé and Diana Ross. Franklin begun performing by opening for her father’s preaching engagements and was signed by Columbia records in 1960, though it was not until she moved to Atlantic in 1967 that she became hugely successful, releasing a slew of hits that included Respect, Chain of Fools and I Say a Little Prayer. After that, Aretha kept churning out the hits, like Natural Woman, Freeway of Love, I Knew You Were Waiting (For Me) with George Michael, Jump To It and Who’s Zooming Who.